All the consultant astrologers listed here are Faculty Diploma holders who have signed and agreed to abide by the Faculty’s Code of Ethics. The current Code of Ethics has been place since 2008, Diploma Holders who qualified before then signed the Code of Ethics pre 2008. The majority of Consultant Astrologers undertake client work by direct personal consultation. Many also undertake Written Chart Interpretations, Telephone Consultations or provide recordings by post or email for clients who, for whatever reason, are unable to visit an astrologer personally. Fees vary according to the amount and type of work required and should be discussed and agreed with your chosen consultant astrologer in advance. Skype consultations are possible with many astrologers meaning that you can consult an astrologer from across the world, regardless of your own location. Several of our consultants also offer consultations in more than one language, for example Spanish and Italian. Character Analysis: general interpretation of the client's Birth Chart, including an analysis of the major life themes, challenges and potentials revealed in the natal chart. Forecasting: the development of the Birth Chart over time, including interpretation of past, current and future trends and events in the client's life. Vocational: an analysis of specific career and/or vocational potential shown in the Birth Chart. Personal Relationships: an analysis of relationship issues revealed in the client's Birth Chart, and of the themes emerging from chart comparison. Children’s Charts: general interpretation of the major themes and potentials indicated in the Birth Charts of children. Ongoing Work: indicates consultant astrologers who work on an ongoing basis with clients. Business Astrology: for clients with specific issues concerning companies, business development and finance matters. Mundane Astrology: the astrology of countries and world events. Esoteric Astrology: for clients wishing to use astrology for spiritual understanding and self development. Horary Astrology: for clients with a specific question. Horary astrology is the art of interpreting a chart which is drawn up at the moment a question is asked. Electional Astrology: for clients who wish to select the best day and time for events, such as marriage, inaugurations, document signing, etc. Vedic Astrology: ancient Hindu astrology developed and applied to modern day life. Rectification: for clients who do not have a time of birth, Rectification is a branch of astrological work aimed at finding the most likely birth time from past events in a person's life. Although this is not always conclusive, it can be a worthwhile exercise. Character Analysis; Personal Relationships; Forecasting; Children's Charts; Horary; Esoteric; Chart Rectification; Telephone/Skype Consultations; Recordings sent online. 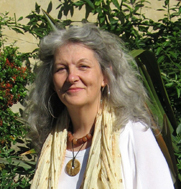 Melanie was born in Zimbabwe, and has been a professional astrologer since 1975. 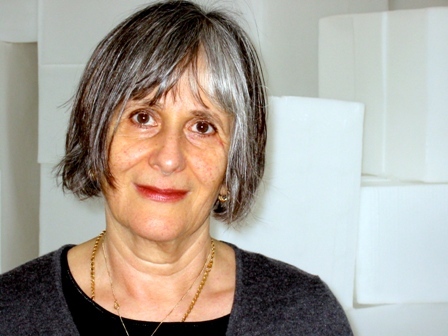 She is well-known for her original work with Chiron and the Centaurs, whose themes involve the processes of healing and transformation as signalled by Pluto. Melanie engages with astrology as a means of developing deeper awareness, seeing through obstructions, and cultivating the capacity to live in harmony with the planetary rhythms that support and nourish our lives. Relationships, Character Analysis, Children’s Charts, Forecasting, Written Work Undertaken; Ongoing Work, Telephone Consultations, Cassette Recordings sent by post. I have practised as a professional astrologer since I gained my Faculty diploma in 1984. I was already practising as a psychotherapist, so take a psychological approach to interpreting a chart. I look in particular at what stage of growth and phase of life a client is currently experiencing and the opportunities and struggles that are intrinsically inherent during that period. I retired as a psychotherapist in 2011 and now spend a lot more time making ceramics and fused glass. I look for the creative potential in all charts, believing we all have a need to express ourselves in some way. My intense study of astrology over the past 17 years culminating in achieving the Faculty Diploma in 2015 has been of huge importance to me on my own evolutionary path. but my approach to this is practical and pragmatic. I enjoy supporting and helping a client to find ways to navigate the astrological 'currents' around at the particular time of their visit so that together we can address their fields of interest, which often leads to a deeper exploration and understanding of the souls purpose if this is desired. Character Analysis; Personal Relationships; Forecasting; Children’s Charts; Electional; Ongoing Work. Character Analysis; Personal Relationships; Vocational; Forecasting; Children's Charts; Ongoing Work; Telephone Consultations. Character Analysis; Personal Relationships; Business; Vocational; Forecasting; Children's Charts; Electional; Horary; Telephone Consultations; Short Written Analyses. Counselling on reproductive health issues and management of related stress related problems. 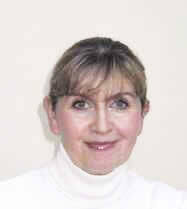 Pat Harris has been a practising consultant for over 25 years, having received her Faculty diploma in 1982. She was the FAS Public Relations Officer until 1998. 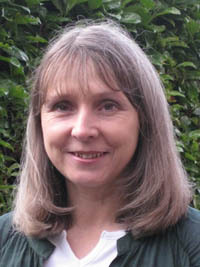 She has a master’s degree and PhD in health psychology from the University of Southampton. Her research, partly sponsored by the FAS, focused on the links between astrology and successful fertility treatment outcome and was based on experiences with her clients over many years. 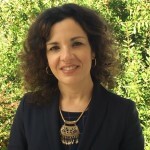 She is editor of the AA research journal Correlation and runs the astrological research grants body, the RGCSA. 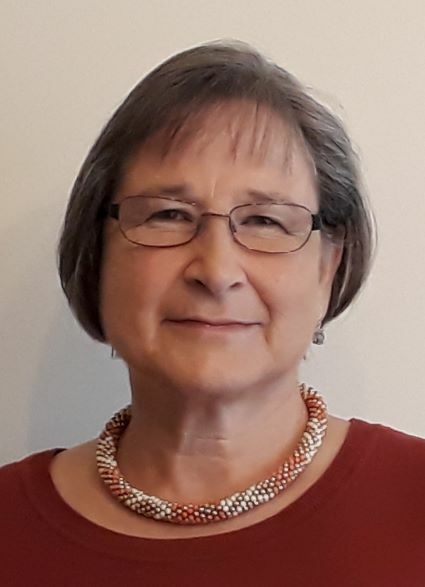 She has written on the value of astrology in social sciences in both popular and academic journals and uses astrology to advise on stress management and to help improve quality of life for her clients. Character Analysis; Personal Relationships; Forecasting; Children's Charts; Electional; Ongoing Work; Written Work Undertaken; Telephone Consultations. 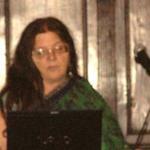 I work full-time as a counselling astrologer and am a Faculty Tutor. I offer in-depth astrological consultations, in person or by telephone, using the client's natal chart together with current planetary influences to help the client gain clarity and insight into their current situation. I practice yoga and meditation and have followed an Eastern Mystical Path for many years. I hope to reflect this in my spiritual and transpersonal approach to the chart. 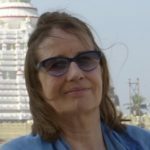 I am trained in both Western and Vedic Astrology and I use both systems in my consultations, integrating a psychological approach with vedic techniques for greater accuracy and to gain insight into a client's major life challenges. Vedic astrology offers the scope of studying 20 different charts for detailed analysis of specific topics. The correct time of birth is essential for an accurate reading and I specialise in rectifying the time of birth when this is uncertain. Character Analysis, Forecasting, Personal Relationships, Vocational & Career, Children’s Charts, Esoteric Astrology, Ongoing Work recorded Skype readings, readings by phone & Facetime, in-depth consultations in west London and south-east Kent, readings as gifts, written birth chart & astrology reports. A birth chart reading can give valuable advice and guidance on many areas of your life: personal, professional, family, partnerships, material, spiritual, health and wealth to name but a few. As the planets continue along their orbits, they trigger planetary positions in your birth chart, creating energy that manifests as major events in your life. An astrology forecast can help you use the energy of the moving and progressed planets to your best possible advantage. It can also help you prepare for life's roller-coaster moments! For more information about me and the astrology I love so much, please visit my website. Character Analysis; Personal Relationships; Vocational; Forecasting; Children's Charts; Esoteric; Ongoing Work; Written Work Undertaken; Telephone Consultations; Recordings. Individual Chart Analysis, Personal Relationships, Children’s Charts, Evolutionary/Esoteric Astrology, Astrological DNA analysis,1-2-1 In-depth Consultations, Recorded Skype Sessions, On going Work. 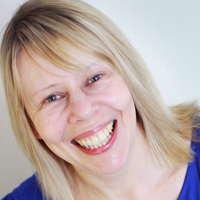 Sue Martin DF Astrol S trained with the Faculty during the late 80’s – she has a busy client practice based in Nottinghamshire and she has also taught astrology for many years both for the Local Authority and privately. 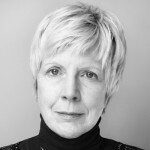 Sue also studied vibrational medicine at the London School of Electro Crystal Therapy – knowledge of the subtle energy system dovetails perfectly with astrological wisdom – and provides a holistic approach to the practice of astrology. In the last seven years her astrological chart analysis has developed to include your individual DNA profile. 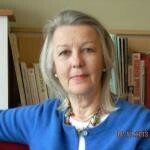 Apart from her classes in Nottinghamshire, Sue also runs workshops and classes in Southern France. Relationships; Character Analysis; Children's Charts; Electional Astrology; Forecasting; Horary Astrology; Vocational Guidance; Ongoing Work; Skype Consultations; Telephone Consultations; Chart Rectification; Recordings Sent Electronically. A lifelong fascination with astrology led me to found my practice based in Birmingham and Stourbridge, West Midlands. I work alongside clients using their birth chart as a guide to their inner potential and challenges, with the aim of supporting their personal growth through current and upcoming situations. The emphasis is on constructive insight designed to increase self-esteem and understanding. I also work with clients exploring their spirituality, especially those following the Western Mystery Tradition and neo-pagan paths, and with clients keen to develop their personal creativity through the arts. Character Analysis; Personal Relationships; Vocational; Forecasting; Children's Charts; Electional; Chart Rectification; Ongoing Work; Telephone Consultations; Recordings. Character Analysis; Personal Relationships; Vocational; Forecasting; Children's Charts; Electional; Written Work Undertaken. Relationships; Character Analysis; Electional; Forecasting; Vocational Guidance; Written Work Undertaken; Ongoing Work. My preferred astrological focus is very much on personal development. I see the natal chart as something of a travel document for the individual making their way through the epic journey it will take each of us a lifetime to complete. In addition to our essential life itinerary, it includes helpful information regarding the weather, the terrain and the people we may encounter at any given stage of our journey. It also includes a wealth of information to help each of us make the most of the equipment we brought along with us in the form of our personal talents and abilities. It can be especially helpful in reconnecting us with our inner compass when we face confusing life challenges or are at a crossroads. 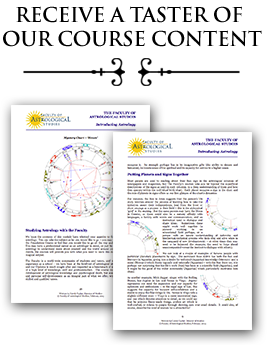 The natal chart fits a lifetime's worth of such information into one handy, travel sized document, but this is only possible because it is written in subtle and concise symbols. In the context of a personal consultation, is an astrologer's job to help to translate the information relevant to the current stage of an individual's journey into language that can be more useful to that person. Because I have benefitted so enormously on a personal level from having access to this information on my own journey, it is now my passion and my privilege to use the knowledge I gained through the Faculty of Astrological Studies' Diploma course to serve as a translator for others in turn, both as a practicing astrologer and as a distance learning tutor at the Faculty. Character Analysis; Personal Relationships; Forecasting; Vocational Guidance; Ongoing Work; Telephone Consultations. Janet came to Astrology through her esoteric studies based on the Alice Bailey school, some 19 years ago. 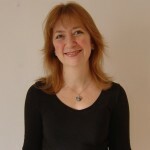 She has run evening classes in adult education as well as private classes for small groups, has lectured both abroad and in the UK, and sees clients from her practice in Kingston upon Thames. 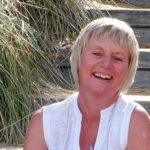 The focus of Janet’s work with clients is towards greater self-understanding, looking at personal strengths and weaknesses in order to maximise the individual’s potential for achievement in their life, whether in relationships, professional vocation, or personal and/or spiritual development. Character Analysis; Personal Relationships; Forecasting; Horary; Telephone Consultations; Recordings. Stan Lee is a well-grounded astrologer, who has combined a number of business qualifications and a successful business career with many years’ experience of astrology, casting his first chart over fifty years ago. He sees the chart not only as offering practical help for everyday challenges and opportunities, but also as a guide to the unfolding of the personality. He has a similar length of experience in a number of other paths in both the western and eastern tradition. Character Analysis; Personal Relationships; Business; Vocational; Forecasting; Children's Charts; Esoteric; Ongoing Work; Written Work Undertaken; Telephone Consultations; Recordings. I have worked as a Consultant Astrologer for over 30 years but I am still excited by each new chart. For me the Birth Chart is like a map which can help us negotiate our way through life towards fulfilling our potential. It is a wonderful tool for helping us understand the challenges we meet along the way and how we can use these to develop and grow. I am also interested in the interaction between body and mind and am a qualified practitioner in High Touch Acupressure and Australian Bush Flower Essences. I am a Registered Member of the Association of Natural Medicine. Character Analysis; Relationships; Children's Charts; Forecasting; Vocational Guidance; Ongoing Work; Skype Consultations. Challenging, joyful, crushing, inspiring - life experiences touch the core of our being and shape who we are as individuals. Whether we greet these circumstances with appreciation or apprehension can depend a lot upon our inner strength and self-belief. Astrology can assist in the attempt to comprehend our reactions to specific situations. By introducing symbolic meaning into our consciousness its interpretation through the lens of astrology can provide a helpful perspective in times of personal uncertainty. 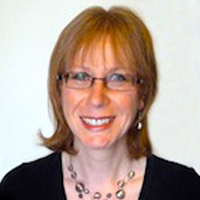 As well as serving on the Faculty Council I am a Distance Learning and London Class Tutor. I am also Registrar for the Faculty's prestigious Summer School, an event held annually at Exeter College, Oxford. Character Analysis; Personal Relationships; Vocational; Forecasting; Ongoing Work. I have been a professional astrologer since I gained my Diploma in 2000, running a consultation practice in West Sussex and tutoring for the Faculty. I am also the Faculty's President and Director of Studies. I see the birth chart as an image of the authentic self, and my aim is to communicate its unique gifts and skills in ways which help a client to navigate through difficult times and to reconnect with their creative potential. I have practised as a reflexologist, working with clients with immune-related illnesses, and still retain an ongoing interest in complementary medicine. I am currently engaged in a study of mythology, the Western mysteries, and the potential for astrology as a spiritual path. Character Analysis; Personal Relationships; Business; Vocational; Forecasting; Children's Charts; Electional; Mundane; Chart Rectification; Ongoing Work; Written Work Undertaken; Telephone/Skype/Online Consultations. Gary Richardson D.F. Astrol.S., has been practising Astrology since 1986 and holds the Diploma of the Faculty of Astrological Studies. As a professional astrological consultant, he has extensive experience of giving readings and consultations by telephone and in person. 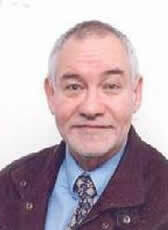 Gary also works as an astrology tutor both by correspondence and in classes. He has written astrological articles for magazines and newspapers and has also written course material for the Faculty and his own personal courses. Gary likes to use astrology to answer all kinds of enquiries about everything from relationships, home and family life, work, vocation, business and finance to more miscellaneous questions about absolutely anything; from the most profound life matters to ordinary everyday issues. 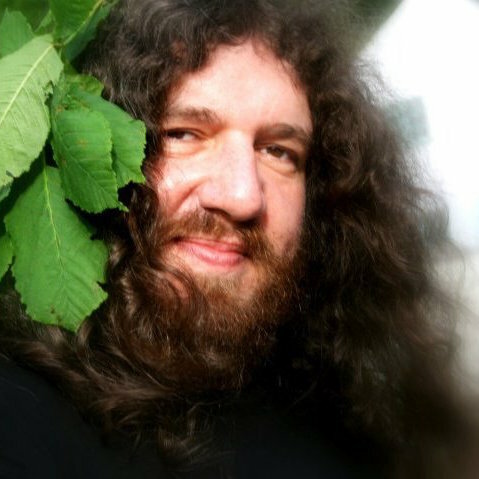 He is also available as an astrology speaker and tutor either by correspondence or via classes and workshops. Character Analysis; Personal Relationships; Vocational; Forecasting; Children's Charts; Esoteric; Ongoing Work. I use astrology to facilitate clarity, self-healing and a conscious connection with the unfolding of your potential and destiny. A reading can be an empowerment process, dissolving patterns of self-limitation or self-doubt, creating freedom from the past and a fresh perspective towards the opportunities and challenges of the coming times. Astrology is not about predicting the future while we passively wait for it to happen, but rather awakening a wisdom consciousness within our lives that can guide us to co-create the destiny of our highest potential. I have a diploma in NLP, Life coaching, hypnotherapy, Time therapy, and shamanic healing. Single sessions, ongoing work and healing retreats available in the UK and Greece, please contact me for more info. Relationships, Character Analysis, Forecasting, Vocational Guidance, Esoteric Astrology, Mundane Astrology, Ongoing Work, Online Consultations, Teaching, Written work, Recordings sent electronically or by post. 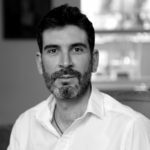 Daliah is a North London-based astrologer who has had a passion for astrology since a very young age and has been practising since 2001. She studied with the acclaimed Faculty of Astrological Studies in London and Oxford, where she received a Diploma, and is continuously developing her expertise. She obtained an MBA from the Freie Universität Berlin and studied fashion at Central Saint Martins in London. Daliah has also worked in the fashion industry and within investment management. 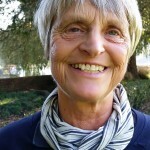 Since 1997, Daliah has been a Buddhist practitioner of the Tibetan Nyingma lineage (Dzogchen), having studied Tibetan and Buddhist philosophy in Nepal and North India. Since 2016, she has worked with a variety of medicinal plants and spirit plant medicines of the shamanic Mestizo and Shipibo traditions in the Peruvian Amazon. In her quest to learn about other cultures, and given her love of travel, Daliah has lived in seven countries and speaks multiple languages. 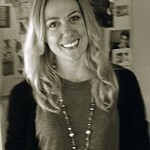 Daliah has clients all over the world, giving face-to-face readings in North London, or online via Skype. 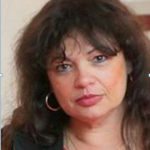 Please visit her website, thehighgateastrologer.com, for more information. Character Analysis; Personal Relationships; Vocational; Forecasting; Children's Charts; Electional; Mundane; Ongoing Work; Written Work Undertaken; Telephone Consultations (including Skype). Character Analysis; Personal Relationships; Vocational; Forecasting; Children's Charts; Ongoing Work; Telephone and Skype Consultations. I am a core tutor for the Faculty, teaching at London classes. 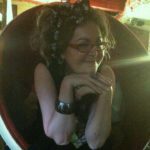 I also teach tarot courses in London. Where appropriate, I sometimes use the tarot to expand or clarify astrological patterns. 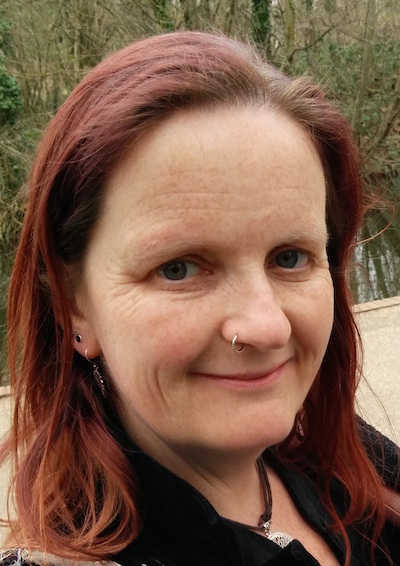 I have a background in psychotherapy, having trained in Psychosynthesis, and gained an MA in Cultural Astronomy and Astrology at Bath Spa University in 2007. I have recently completed a training as a professional Life Coach, and I undertake short term astrological life coaching. Astrology for me is a ‘magical’ system that can provide you with extraordinary insights to enhance your understanding of yourself and your situation. Relationships, Character Analysis, Children's Charts, Forecasting, Vocational Guidance, Written Work Undertaken, Ongoing Work, Telephone and Online Consultations, Recordings sent electronically or by post. I am a professional astrologer based in north London, able to do readings in person, by telephone or via Skype. I have over fifteen years of experience as an astrologer, culminating in gaining the Faculty Diploma in 2018. For me, astrology is a spiritual practice, a way of connecting us to the greater energies at work in our lives. A reading with me can help you to map these energies, as we work together to understand your unique story and the myriad ways these symbols are expressed in your life. Character Analysis; Personal Relationships; Vocational; Forecasting; Mundane; Electional; Telephone Consultations. I began my astrological training in 1984 having always had a fascination with the stars and with the magical world. I trained with the Faculty of Astrological Studies for whom I currently teach and gained the Diploma in 1996. I completed a traditional horary training with John Frawley in 2003, and was awarded the MA in Cultural Astronomy and Astrology from Bath Spa University in 2007. I currently serve on the Faculty Council where I hold the position of President. I am interested in the experiential dimension of astrology and how we work practically with symbols and myths. My approach to astrology is to blend a modern psychological perspective with the rigor and spiritual insight of traditional practice, and my work is influenced by an interest in the Western Mystery Tradition and in women's spirituality. For me working with astrology is a spiritual practice. My approach to the astrological consultation is to view this as a dialogue. Here we can explore together how the symbolic patterns contained within the chart might inform and make sense of what is arising for the client both now and over longer periods of time, where the aim of this work is to facilitate greater insight and understanding. I am a London-based professional astrologer, qualified with the Faculty of Astrological Studies and involved in astrology since 2005. I offer consultations in English, Greek or Spanish either by phone or in person. My background in counselling and psychotherapy means that all this can take place within a safe and confidential space where you can feel deeply accepted and listened to. So, whether you are considering an astrological consultation for yourself or as a gift to a loved one, I would love to hear from you. Character Analysis; Personal Relationships; Vocational; Forecasting; Children's Charts; Ongoing Work; Telephone Consultations; Recordings. I am trained in both Western and Vedic Astrology and I use both systems in my consultations, integrating a psychological approach with vedic techniques for greater accuracy and to gain insight into a client's major life challenges. Vedic astrology offers the scope of studying 20 different charts for detailed analysis of specific topics. The correct time of birth is essential for an accurate reading and I specialise in rectifying the time of birth when this is uncertain. Character Analysis; Personal Relationships; Forecasting; Vocational Guidance; Esoteric Astrology; Written Work Undertaken; Ongoing Work. Relationships, Business Astrology, Written Work Undertaken, Electional Astrology, Forecasting, Recordings sent electronically/by post, Vocational Guidance, Mundane Astrology, Ongoing Work, Telephone/Online Consultations. Consultations available in both English and Spanish. My degree in psychology influences my take on astrology, I provide tailor-made consultations to allow in-depth exploration while using astrology as a practical tool to synchronise personal and group cycles. I aim to give my clients a wider view of the path they want or choose to follow. Character Analysis; Personal Relationships; Business; Vocational; Forecasting; Children's Charts; Electional; Mundane; Esoteric; Chart Rectification; Ongoing Work; Telephone Consultations; Recordings. Relationships, Character Analysis, Children's Charts; Electional Astrology, Forecasting, Vocational Guidance, Esoteric Astrology, Written Work, Ongoing Work, Telephone/Online consultations, Recordings Electronically or by post. 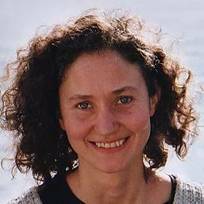 Nunzia Coppola (spiritual name Meskalila) is D.F.Astrol.S, specialised in Karmic Astrologer, Writer and Gestalt counsellor. She started her astrological development in India, where she lived for fifteen years, while practicing Tantra with Aghora Langta Baba from Tarapith. 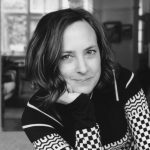 She created a system where Gestalt counselling, Ancient Eastern and Modern Western Astrology are merged into a karmic approach in order to help clients expanding their life. She translated from English to Italian “The Houses, the temples of the sky" by Deborah Houlding, Publisher Capone. She wrote several books. Her last volume is "The Moon and her Goddesses: a karmic astrological path", Edizioni Librarie Capone. She created and directs “School Astravidyā of Karmic Astrology”. She leads the Cultural Jayavidya Association and the Delegation C.I.D.A. in Perugia. In collaboration with psychologists and counsellors she holds workshops through fairy tales and ancient myths, as means for personal and spiritual development. 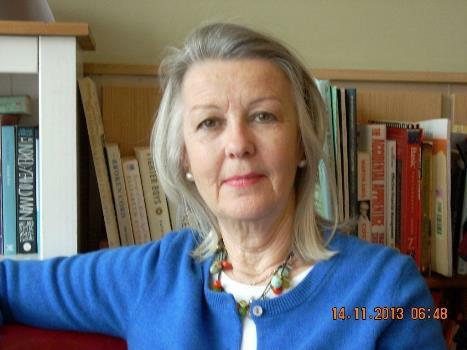 She directs and organizes the Yearly International Congress of Astrology in Perugia. Character Analysis; Personal Relationships; Business; Vocational; Forecasting; Children's Charts; Electional; Ongoing Work. My passionate journey through astrology started in 1996 but it was only in 2007 that I began my studies in FAS, obtaining my Faculty Diploma in 2015. Astrology helped in my personnel and spiritual development, deeply changing my life approach. It showed me how meaningful our lives can be when we manifest ourselves without fear but instead with trust and awareness about who we are. It is from this perspective that I like to work with my Clients. I look for the creative potential and how it can be manifested during the course of life. It is rich and pleasurable team work: I use my astrological knowledge and combine it with the client's questions and life situations. I also have a degree in Informatics and some certifications in the Quality Management area. My degree in Informatics helps me on know how to explore the best features of the Astrological software and combine many astrological techniques. My experience in the quality management area taught me how important it is to offer properly planned astrological services and that are continually reviewed and improved. Character Analysis; Personal Relationships; Business; Vocational; Forecasting; Children's Charts; Electional; Esoteric; Ongoing Work. Character Analysis, Relationships, Business Astrology, Forecasting, Vocational Guidance. Online Skype Consultation are also available. 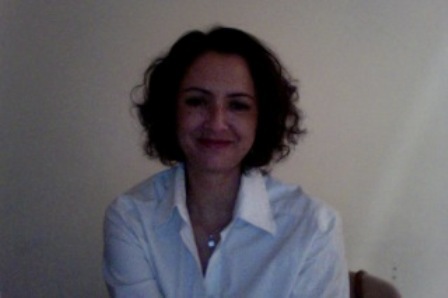 Meral has been interested in Astrology since the early 90s and gradually became passionate about it. She is interested in Astrology as an effective tool for personal and spiritual development. 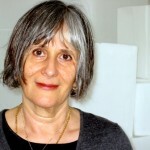 She obtained her FAS Certificate in 2004, with the Lindsay Radermacher Award, and her Diploma in 2011. She holds an NLP Master Practioner Certificate, which helps in her astrological consultation work. She has been practicing yoga and meditation since 2002. Besides astrological consultation, she likes to combine astrology and meditation in her group sessions. 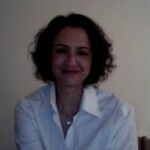 She has been teaching Zen meditation in Istanbul since 2010. Meral offers one-to-one consultations in Istanbul, both in English and Turkish. As a mother of 5 grownups and a high school teacher with over 20 years of experience, I have learned that we are all different with own needs, capabilities, feelings and desires. Astrology learning equipped me with additional tools that allow me to better mentor and develop my young students. Character Analysis; Personal Relationships; Business; Vocational; Forecasting; Electional; Ongoing Work; Telephone/Online Consultations; Recordings Sent Electronically/by Post, Written Work Undertaken. 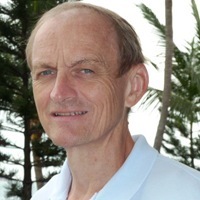 A Danish national living in Singapore I have studied and practiced astrology for 10 years. Since 2003 I have studied with The Faculty of Astrological Studies in London obtaining its Certificate in 2007 and the Diploma in 2012. Master Mariner by education I have simultaneously enjoyed a career in international shipping and education having lived and worked in Asia, Africa and Europe. I offer Birth Chart Analysis including a 1-year forecast, face-to face and via Skype. Written Birth Chart Analyses can be produced upon request. Also Relationships consultations, Electional astrology and company analyses and forecasts are available. Relationships; Character Analysis; Children's Charts; Vocational Guidance; Forecasting; Chart Rectification; Ongoing Work; Telephone/Online Consultations; Recordings Sent Electronically/by Post. 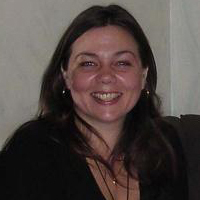 Maxine’s astrological journey formally began in 2003 when she commenced her studies with the Faculty and successfully gained her diploma in 2014. In 2012, Maxine was invited by the Hong Kong Astrology Club to join their board committee, where she spent two years promoting astrology to the citizens in Hong Kong. 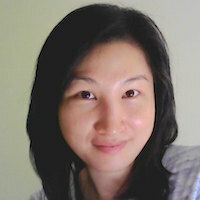 Maxine now manages her own practice as a professional astrologer in Hong Kong. She runs regular astrology classes and sees clients privately. A certified hypnotherapist and a Reiki master, Maxine integrates family constellation concepts to enhance her astrological analysis. Character Analysis; Personal Relationships; Vocational; Forecasting; Recordings. Character Analyses; Relationships; Vocational Guidance; Forecasting; Esoteric; Ongoing work; Telephone/Online Consultations; Recordings sent electronically. I see Astrology as a guiding light on life’s journey - showing the way to navigate and co-create one’s own unique life map. Translating the meaning of planetary energy and bringing it “down to earth” assists in self-discovery and personal development. Harnessing these energies may unlock potentials, unravel challenges, find purpose, discover meaning and illuminate opportunities and pitfalls. My intention is to implement astrology in order to raise awareness of potentials within, illuminate available choices and gain insight into life’s journey. Until the end of 2016 my astrology practice was based in Somerset West, South Africa. I relocated to New Zealand during 2017. My practice is currently based in Nelson. Character Analysis; Forecasting; Vocational; Personal Relationships; Relocation; Local Space Astrology. In person and online consultations. 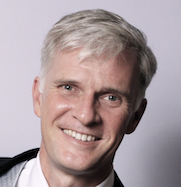 Toby Aldren began a formal study of astrology in the 1990's after moving to Vancouver from Toronto. He earned the FAS Certificate in 1998 and was awarded the Faculty Scholarship for his examination results. For the years to follow, he supplemented his learning with other methods but returned to the Faculty courses in 2010, gaining his Diploma in 2014. Toby currently serves clients in person in Vancouver, teaches classes and workshops, and offers consultations by phone and online to an enthusiastic following across Canada and the continental USA. He also works part-time as a piano accompanist and music teacher, and he enjoys composing and arranging music for choirs. Character Analysis; Personal Relationships; Business; Vocational; Forecasting; Children's Charts; Electional; Ongoing Work; Telephone Consultations; Recordings. astrología como herramienta de auto conocimiento y desarrollo personal. Mis consultas son individuales y se pueden llevar a cabo por Skype, WhatsApp o personalmente. Cada consulta es completamente confidencial y dirigida a las preguntas específicas del cliente para comprender el camino que haya escogido.